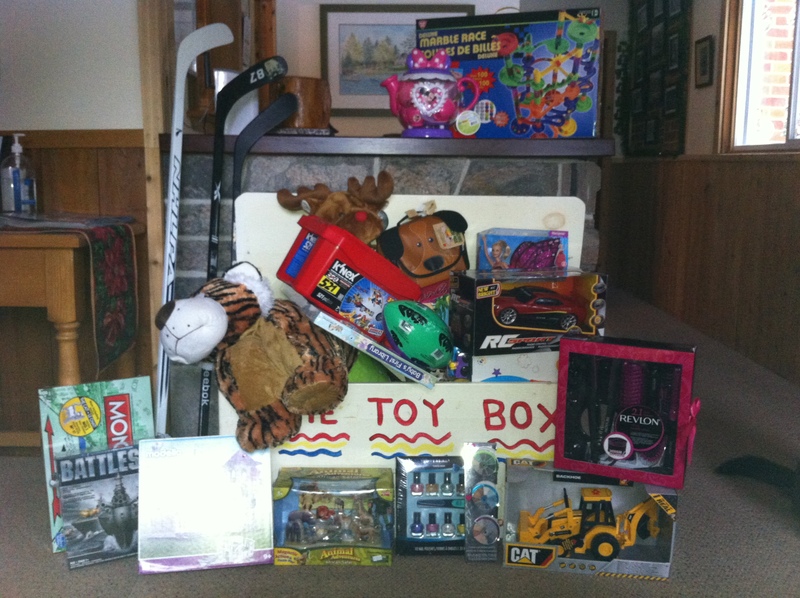 Admittedly, our Toy Drive at Shamrock Lodge is receiving more attention that I had originally anticipated! Toys are now coming from all directions and the office is beginning to look like the toy factory at the North Pole. As well as toys pouring in from locals or arriving by mail from generous, kind souls we have also received several cash donations by email transfers and cheques to be able to purchase toys locally. (aka: win/win) So far we are up to $600.00 and it keeps coming in!! I’m excited to be able to hit the toy store soon and make this toy box disappear under a mound of gifts for the kids. Giving back has really put me into the Christmas spirit this year and increased my level of child-like anticipation for the big day. Knowing that we have helped to put a smile on a child’s face on Christmas morning is priceless. I want to feel like an elf every year! !